The saying "you get what you pay for" doesn't always apply when it comes to travelling the globe. 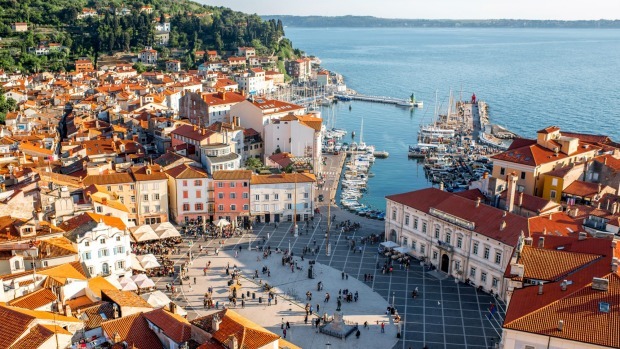 Sure, many bucket list destinations are worth their eye-popping price tags, but there are plenty of affordable - and arguably cooler - alternatives to these well-trodden, budget-busting destinations. Below, we listed the most expensive countries in the world and offered an alternative where you can save or stretch your dollars. Famous for its alpine skiing and storybook villages, Switzerland is a far cry from a budget-friendly destination. Midrange and upscale hotel rooms cost between $280 and $700, with cities like Zurich and Geneva on the higher end. Lift day passes hover between $55 and $100, depending on location, and apres-ski activities and dinner are often much steeper. Instead, hop over northeastern Italy to Slovenia, where hotels, ski passes and delectable cuisine can be had for a fraction of the cost. Slovenia's capital, Ljubljana, is home to a vibrant array of cultural attractions. Come summer, bustling cafes overflow into the cobblestoned streets, while Christmas market stalls line the riverside during winter. Ljubljana is one of central Europe's most affordable capitals, with plenty of midrange options well under $140. To the northwest, Lake Bled rivals the tranquility of Switzerland's Lake Lucerne. Stunning views over the emerald water can be had from Bled Castle. The short, but steep, hike is well worth the effort to admire the nearby Julian Alps and explore the castle walls, museum, and medieval frescos. Just to the west, Triglav National Park encompasses much of Slovenia's alpine terrain, including extensive hiking trails and the country's premier ski resorts. Day passes for the chairlift can usually be had for under $40 at the current exchange rate. Though these mountains can be easily reached in two to three hours from Ljubljana, consider hitting the slopes at Krvavec, if you're short on time. The mountain includes 18 miles of ski runs and is a mere six miles from the capital. Singapore offers a dynamic mix of cultures in an extraordinarily modern setting. Unless you're booking a hostel or an out-of-the-way guesthouse, expect to dish out between $200 and $400 for midrange and boutique properties. 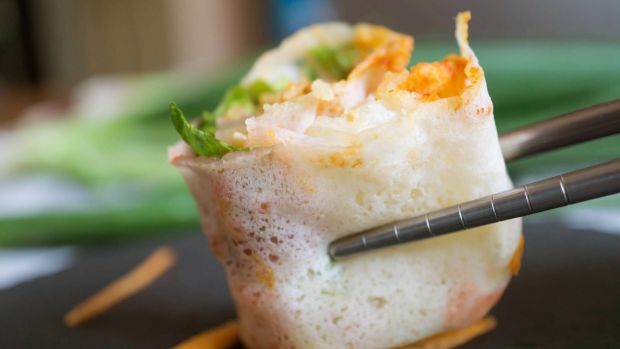 A lively street food scene keeps dining costs down, but a night on the town can be costly compared to nearby cities, such as Bangkok or Ho Chi Minh. Separated by the narrow Johore Strait, neighbouring Malaysia is an often-overlooked destination with a capital that rivals Singapore's multiculturalism and modernity without the hefty price tag. Comfortable accommodations can be had for $70 to $100, while $100 or more will fetch a plush room with a view of the Petronas Towers. Kuala Lumpur has emerged from its humble origins as a remote tin-mining community. Today, mosque minarets and colonial buildings mix with skyscrapers and monorail tracks. The city maintains its blend of Malay, Chinese, and Indian influences, which is very apparent in its assortment of street-side cuisine, architecture and art museums. Outside the city, Malaysia's landscape unfolds into hillside tea plantations, lush jungle and beautiful beaches. To the north, the temperate Cameron Highlands make for a perfect escape from the city, if you wish to rejuvenate on locally grown tea and leisurely hikes. Off the western coast, George Town on Penang island boasts vibrant street art and cozy cafes housed in a labyrinth of colonial-era buildings. Wildlife and nature enthusiasts should head to Malaysian Borneo to spot wild orangutans and elephants, go scuba diving, and trek through dense rainforest. Malaysia's tallest mountain - Mount Kinabalu - is located here and can be summited in a demanding two days. East Asia's most expensive destination sits atop many travel bucket lists. Japan's popularity is well-warranted, thanks to its blend of traditional and modern culture, renowned and innovative cuisine, stunning mountain scenery, and exceptionally easy transportation. However, it's far from budget-friendly. Midrange hotels will set you back $250 or more, while luxury accommodations can exceed $1,000 per night. The famed train system may be convenient, but a one-way trip from Tokyo to Kyoto costs around $170. Farther south, the compact island of Taiwan delivers comparable attractions - a buzzing, modern capital, an excellent food scene and striking natural beauty - all for a fraction of the cost. Taiwan's capital, Taipei, may lack the glitz of Tokyo on the surface, but dive a bit deeper and discover dozens of night markets, world-class museums, grand monuments, and a lively LGBTQ nightlife scene. 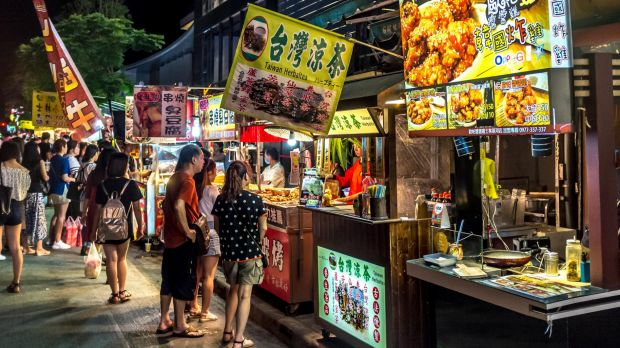 For starters, head to Shilin Night Market to dine like the locals. This massive indoor food court houses over 500 stalls and draws thousands to feast on oyster omelets, dim sum and stinky tofu. Heading south from Taipei, the island is divided by imposing mountains, making it difficult to cross from the populated western coast to the rugged, eastern shorelines. On the east side, Taroko National Park attracts visitors with its deep gorge formed by the rushing Liwu River. A network of trails leads up into the high mountains, across suspension bridges, and past gushing waterfalls. On the west coast, urban centres, such as Taichung, Tainan, and Kaohsiung offer a wide array of lesser-known regional delicacies, temples, botanical gardens and more. Luxury in the desert in Oman. The United Arab Emirates has become an increasingly popular destination, especially futuristic Dubai and cosmopolitan Abu Dhabi. Though these cities possess unique attractions, such as the Louvre, elite private island enclaves and the towering Burj Khalifa, they are incredibly expensive. Dubai's most budget-friendly hotels hover between $200 and $300, while luxury options creep above $600 a night. Meanwhile, farther east on the Arabian Peninsula, Oman's understated capital and extraordinary landscapes can be explored without breaking the bank. Muscat, Oman's capital, operates on a slow pace, which stands in stark contrast to the style and glamour of Dubai and Abu Dhabi. That being said, Muscat's streets, forts and mosques are immaculately maintained. Climb the steps up Mutrah Fort, which is perched on a cliff overlooking the harbor and corniche. The corniche is ideal for walking and people-watching from the outdoor cafes. The adjacent Mutrah Souq adds to the bustle, with hundreds of vendors selling traditional handicrafts, local cuisine, spices, and more. Muscat is the most expensive part of Oman, but midrange hotels can still be found for under $100 per night. 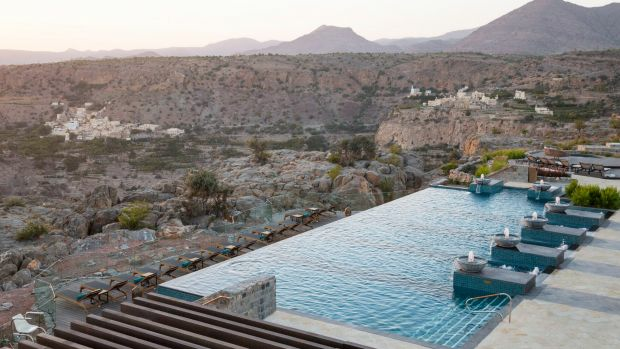 Oman's splendour resides in its remote corners, which encompass seemingly endless sand dunes, dramatic coastlines, high mountains, and deep canyons. These canyons, known as wadis in Arabic, are the collecting point for Oman's limited rainfall. Millennia of erosion have created striking rock formations and winding channels in the sandstone. Several of these wadis, such as Wadi Shab and Wadi Bani Khalid, serve as refreshing swimming holes from the intense desert heat. Be sure to go to the end of Wadi Shab, where you'll swim 40 feet through a narrow gap in the rock face to the reach the waterfall and cavern behind. It's advisable to rent your own wheels to visit Oman's interior. The Jebel Sham mountain range, known as the "Grand Canyon of Arabia," features excellent hiking trails and abandoned stone villages. A car will also come in handy for traversing the dunes at Wahiba Sands, which can reach as high as 300 feet. The local Bani Wahiba tribe operates a handful of camping and glamping-style accommodations. There are plenty of beaches and lagoons to enjoy tranquility in Mauritius. Scattered across thousands of islands in the Indian Ocean, the Maldives is undeniably a gorgeous destination. Most resorts occupy their own private islands, with luxury cabanas dotting the white-sand beaches or stilted above the tantalizing blue water. There has been a slight shift in affordability now that locals are permitted to build and operate their own accommodations. However, the Maldives' remoteness requires that the majority of food and supplies be imported, keeping prices high. Furthermore, luxury still reigns supreme here, with boutique properties still charging around $250 per night and luxury prices soaring into the thousands. The Indian Ocean has no shortage of idyllic islands, so stretch your travel budget further and head to Mauritius instead. Though you won't have the island to yourself, there are plenty of beaches and lagoons to enjoy in tranquility. Most beachfront hotels offer a variety of water-centric activities, such as kayaking, submarine safaris, glass-bottom boat trips and snorkeling. Mauritius is surrounded by barrier reefs, providing calm water and excellent diving opportunities. It's worth heading off your property to explore the island's 100 miles of beaches and mingle with the locals. Flic en Flac and Grand Baie are ideal choices for swimming and water sports. On the island's southern end, Le Morne's public beach is perfect for beachcombing, watching kitesurfers and admiring the Le Morne Brabant mountain. If you can manage to pull yourself away from the beach, Black River Gorges National Park is a worthwhile day trip. Here, you can splash under waterfalls and enjoy shaded hikes through dense forest. Be sure to keep an eye out for the elusive flying fox. 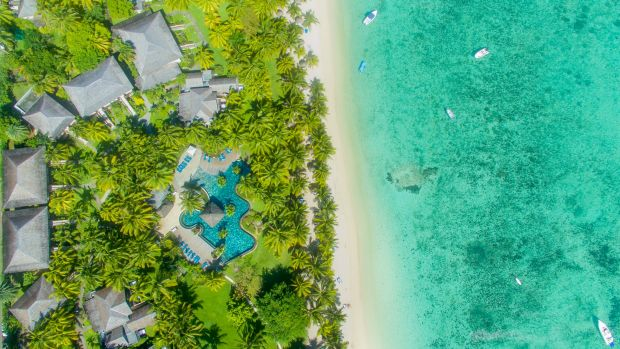 Mauritius isn't exactly cheap, but all-inclusive resorts can be booked for around $250 per night, which is a huge value compared to the Maldives.